In case you didn't know, wine's flavor can be seriously impacted by temperature — drinking it at just the right time can provide flavors and smells that are missing at others. But it's not exactly easy to keep tabs on the temperature inside the bottle. 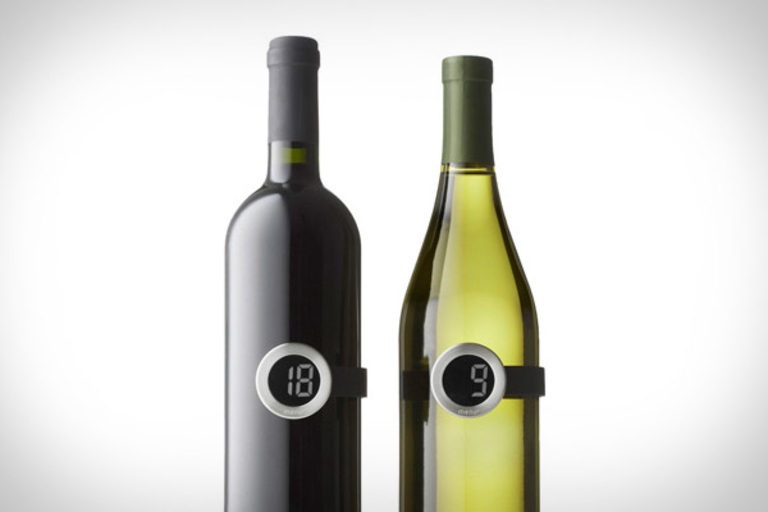 Unless you have a Vignon Wine Thermometer ($40). 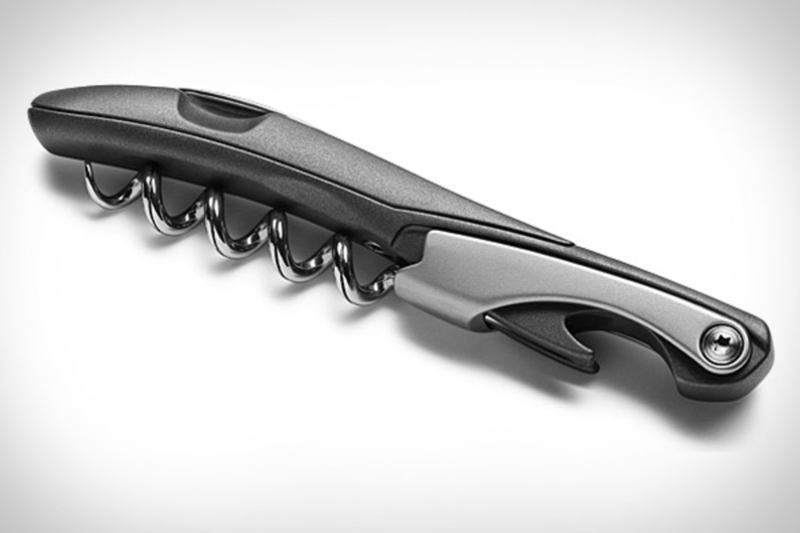 This plastic and metal band snaps securely around the bottle, giving you an accurate temperature reading in just a few minutes. Mr. Beer it is not. 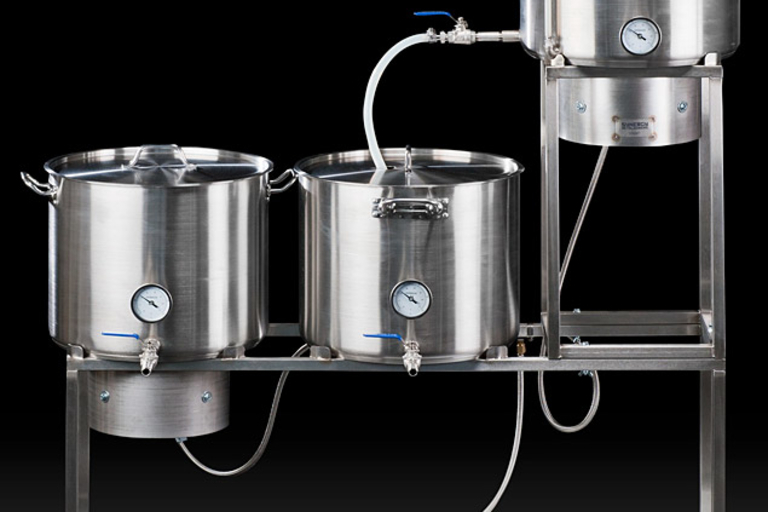 If you're ready to get serious about your home brewing, check out the Synergy Home Beer Brewing System ($1,900). 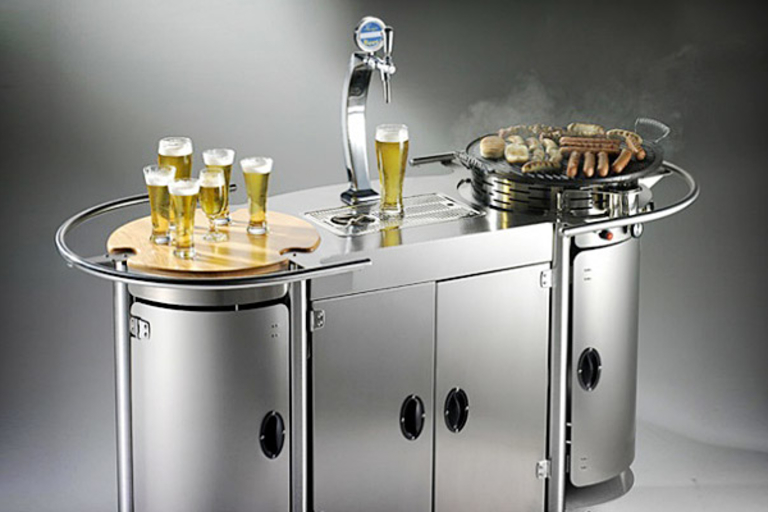 It offers no-nonsense looks thanks to professional TIG welded, 304 stainless steel construction, and features swiveling, lockable casters, an FDA-approved lower shelf for pumps and chillers, two 155,000 BTU propane burners with separate controls, a mash tun, hot liquor tank, and a boil kettle — all the tools you need to create pro-quality beer, conveniently placed on four wheels. Perhaps the only thing more telling than a wine aficionado's collection is the rack they keep their best bottles in. 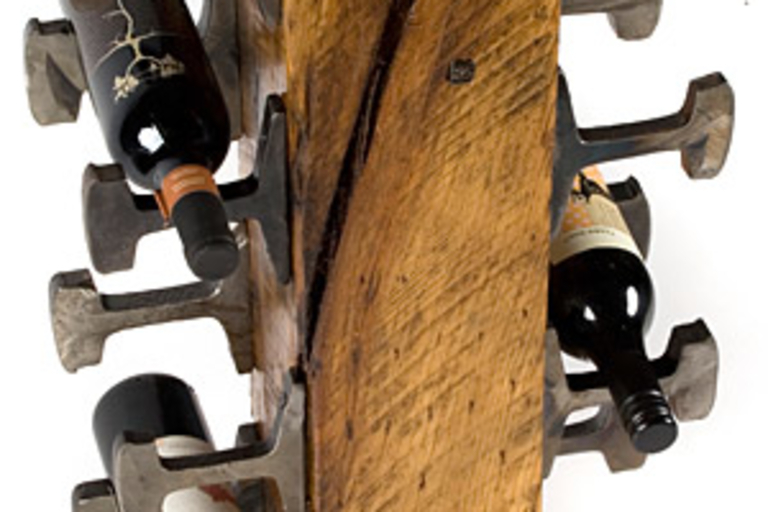 The Rail Yard Wine Rack ($TBA) is made using rescued and reused materials, including pieces of rail from the early 1900s, hickory crossties, and switch plate cuffs for feet. Fill with recent vintages for a nice contrast between old and new.